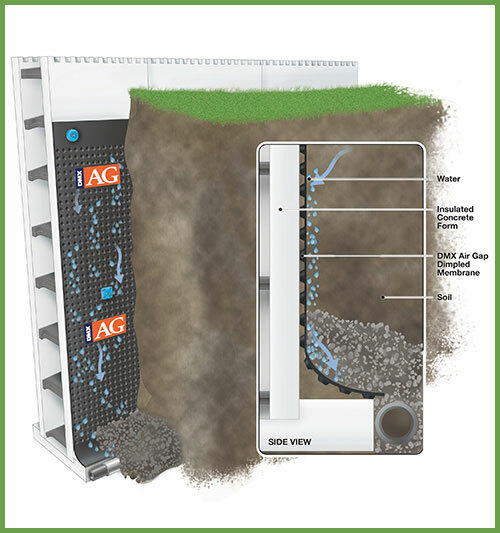 A cutaway technical illustration of a drainage membrane shown on a concrete wall including the ground that surrounds it and how the moisture flows away from the building. A cutaway technical illustration of a drainage membrane shown on an ICF wall including the ground that surrounds it and how the moisture flows away from the building. 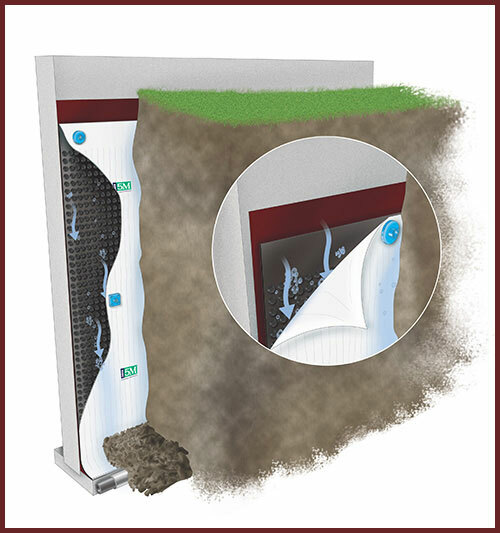 Client: DMX Plastics Inc.: A cutaway technical illustration of a drainage membrane shown on a concrete wall including the ground that surrounds it and how the moisture flows away from the building.